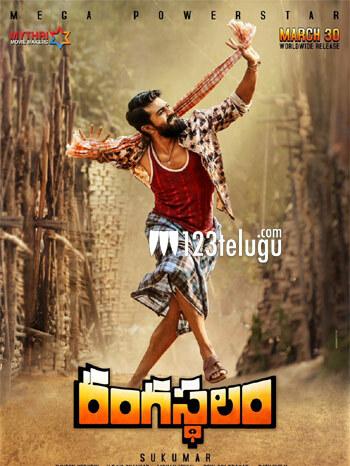 The makers of Ram Charan and Samantha-starrer period village drama, Rangasthalam, have escalated the expectations on the movie with two impressive teasers back-to-back. Now that the character intro teasers of Ram Charan and Samantha are out, all eyes are now on DSP’s audio album. The latest update is that Rangasthalam’s first single will be out on February 13 at 5 pm, on the Valentine’s Day Eve. Sukumar and DSP have been churning out musical hits since Aarya and needless to say that expectations will be quite high on their latest collaboration. Jagapathi Babu, Aadhi Pinisetty and Anasuya essay crucial roles in this much-awaited biggie. Mythri Movie Makers banner is bankrolling it. The film is slated for release on March 30.